Most of us come from modest backgrounds and often our parents, grandparents and down the lineage, had to work hard to achieve a measure of success in life. The wisest among us build on their success and take it to the next level. 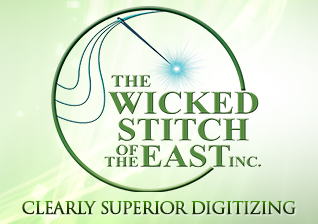 In this spirit of quality of continuity, Jay Fishman has taken the fabric of his grandfather's embroidery business and woven it into the best digitizing business in the industry. Although the origin of embroidery dates back as far as 30,000 B.C., Jay hasn't been in it quite that long, but he did grow up in the industry most of his life. Jay didn't start working in the embroidery industry until he was a teenager. At that time there was still some garment industry left in this country, he worked on French Ornamental sewing machines that allowed for the addition of sequins, soutache, cording, braiding and what was called 3-thread machining. His first venture into digitizing was for Schiffli machines that produced yard goods of laces and trims, and also could be used for patches. The digitizing was literally 1 stitch at a time and way before the time of computers. As the industry changed with the times, he became more interested in where the art of embroidery met the business of the industry. This interest began the journey that separated him from the rest of the digitizing industry. He is the preferred vendor for overflow and complex embroidered digitizing from specialty clothing manufacturers and industry specific specialty embroiders, i.e. golf, tennis.